Lake Michigan property owner wall at Long Beach. Today: We learn from Chuck Hughes of the Gary Chamber of Commerce about the 4th Annual World Civility Day events on Thursday, April 11th. A full day of civility-themed activities kicks off in the morning at the Indiana Welcome Center in Hammond and concludes with an awards dinner at Avalon Manor in Merrillville. Gary Mayor Karen Freeman-Wilson along with Natalie Johnson with “Save the Dunes” join us to talk about a region-wide lobbying effort underway, to keep Senate Bill 581 being passed in the General Assembly. 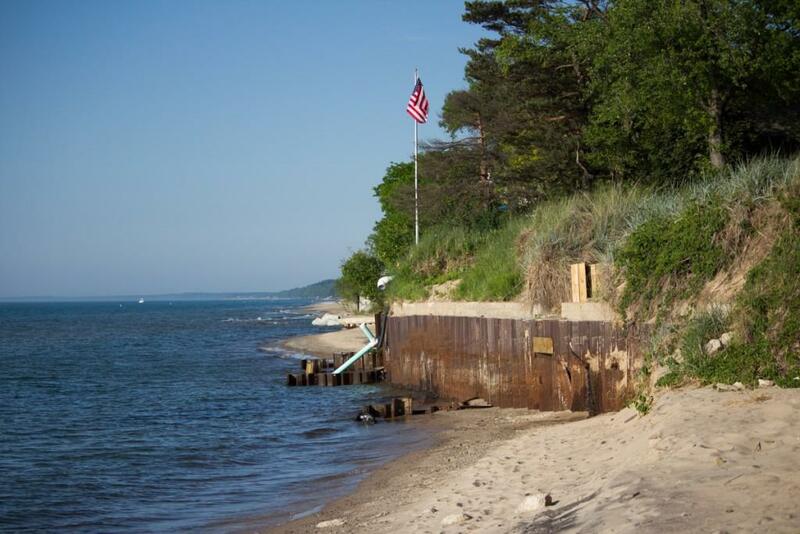 If passed the measure would make it difficult for visitors to come to some Lake Michigan beaches because some lakefront property owners are putting up barriers including fences to keep them out. The mayor is concerned about the impact that the bill, if it becomes law, could affect lakefront property west of Marquette Park. We also talk to Mel McMahon-Stone, co-owner of Indiana Originals about their statewide directory that connect Hoosiers with Indiana products, services and businesses. Only “truly local” businesses can be members of this growing organization. Today: "Howey Politics Indiana" editor and writer Brian Howey joins us with the latest on the major issues being debated in the General Assembly and Hoosier politics in general, including a look at Hoosiers involved in national politics. We bring you two more conversations from the Welcome Project at Valparaiso University. Dr. Vanessa Allen-McCloud, the president-CEO of the Urban League of Northwest Indiana, talks about this week's 7th annual Diversity and Inclusion Awards Luncheon.